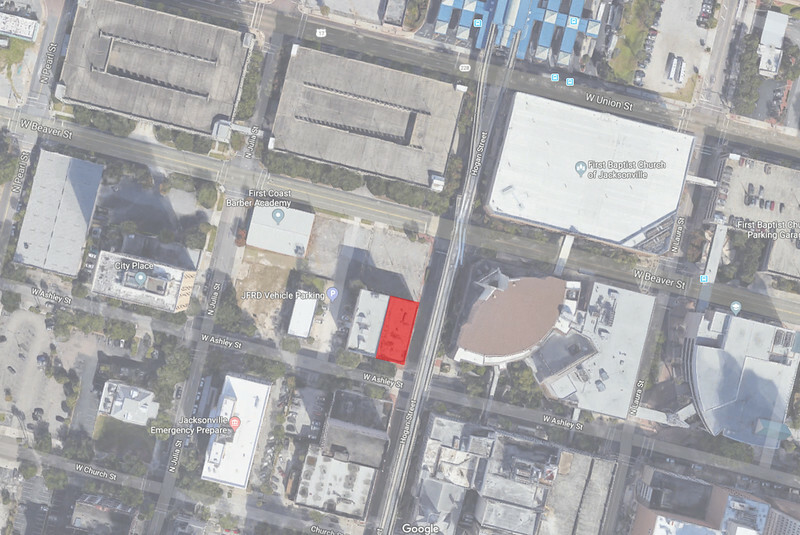 The Jacksonville Historic Preservation Commission has recommended the demolition of the Gulf Life Insurance Building for yet another empty lot. It’s a sad end for a building that’s both historically significant and a contributor to Downtown’s dwindling walkable urban fabric. Is there another solution? 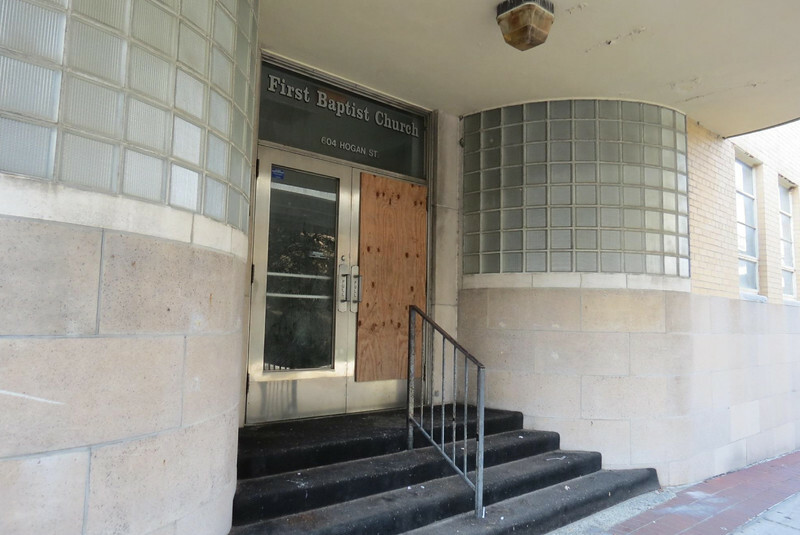 The Jacksonville Fire and Rescue Department plans to buy the former Gulf Life Insurance Building, located at 604 North Hogan Street in Downtown Jacksonville, and two other nearby parcels. The department plans to renovate the four-story building at 211 West Ashley Street for office expansion, but unfortunately, most of the land - including the Gulf Life Building - would be bulldozed and turned into something that’s in no short supply downtown: another empty lot for surface parking. Founded in Pensacola in 1911 by T.T. 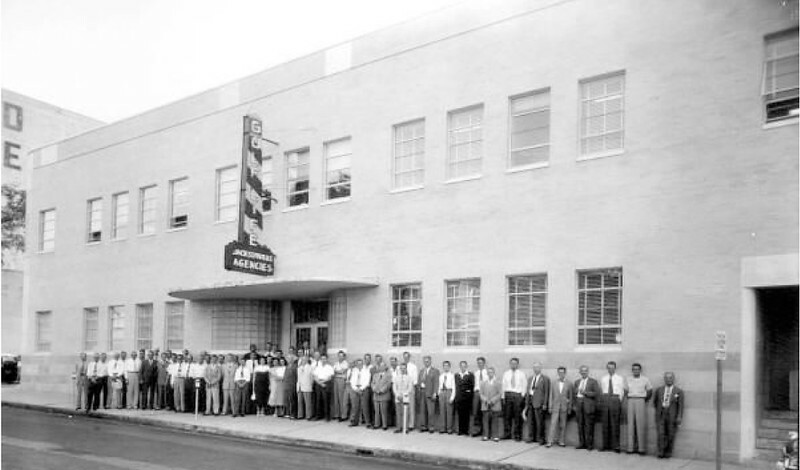 Phillips, the Gulf Life Insurance Company relocated its home offices to downtown Jacksonville in 1916. 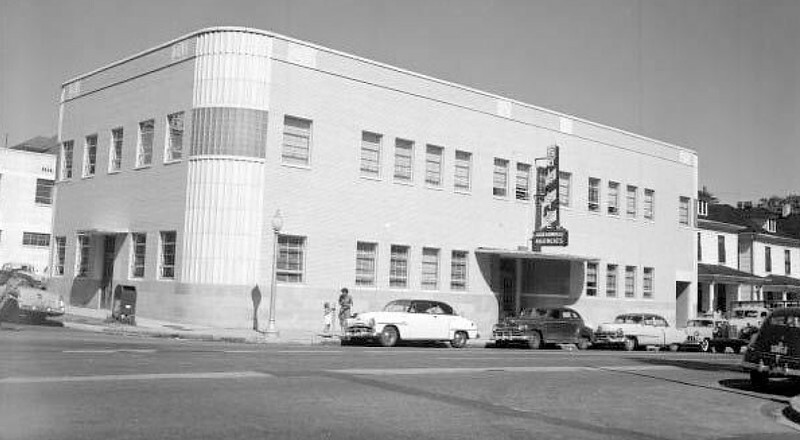 In 1947, the company opened the ten thousand square foot structure on the corner of Hogan and Ashley Streets, designed by local architect A. Eugene Cellar. 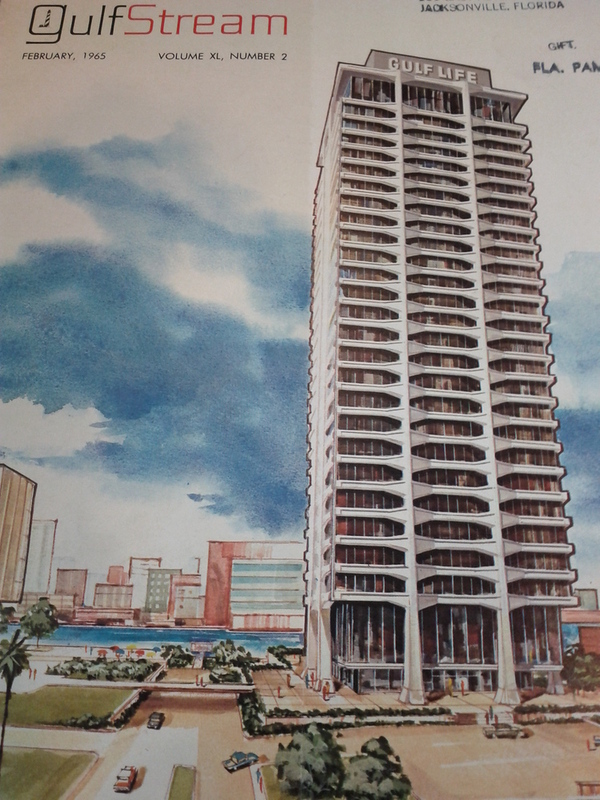 In 1966, the company relocated again to the newly completed 28-story Gulf Life Tower in the Southbank and sold its Northbank buildings to Florida Baptist Church. At the time, the tower was Florida’s tallest building and the world’s tallest precast, post-tensioned concrete structure in the world. By 1985, the company had grown to become the largest insurance company based in Jacksonville with $2.5 billion in assets. However, it was merged into Houston-based American General Life in 1991. 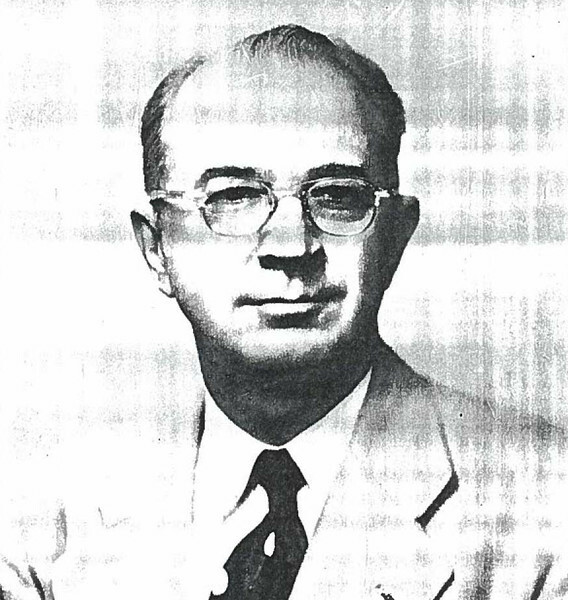 A. Eugene Cellar. Courtesy of the City of Jacksonville. Cellar designed 604 North Hogan Street for Gulf Life in the Art Moderne style, a subset of Art Deco architecture. One of the few remaining Art Deco buildings in Downtown Jacksonville, the Gulf Life Building is a contributing structure in the Downtown National Register Historic District. It has changed hands several times over the years; First Baptist Church bought it in 1996, and is now looking to sell. Despite these findings, the Historic Preservation Commission determined that the building did not meet the requirements for landmarking, and recommended demolishing it. We at The Jaxson believe the Commission has totally missed the mark. In addition to being historic in its own right, the Gulf Life Building is an integral part of Downtown’s architectural fabric. Like the nearby success story of Laura Street, this stretch of Hogan Street has enough built density and ground-floor retail remaining to generate walkability and vibrancy, with no large parking lots breaking up the pedestrian-scale environment. That’s pretty impressive given our city’s Godzilla-like like penchant for razing buildings. Demolishing a historic building for yet more dead space runs directly counter to the goal of creating a walkable, vibrant downtown. Fortunately, there are other options. If JFRD needs more parking, First Baptist has two block-sized parking garages right across the street that sit empty most of the time - each with far more than the 15 or so spaces that could fit in the Gulf Life Building’s footprint. In fact, there are parcels on the building’s same block that are already empty lots. With some strategic thinking, surely a solution can be found that suits all parties without demolishing another historic building for a use that’s already in ample supply right across the street. Highlighted in red, the Gulf Life Insurance Building is surrounded by underutilized parking garages and parking lots.